To Sum It Up: Darrow is a Helldiver, a miner who digs deep beneath Mars for the element that will make the rest of the planet habitable. As a Red, the lowest social caste in a system that’s structured according to color, Darrow doesn’t expect to ever benefit from his labor. When a tragedy strikes, he’s ready to give up on life completely, but a rebel organization has other plans for him. Darrow is to become their secret weapon, sent on a mission to pose as a member of the highest ranking class, Gold, and to crush the oppressive social system from within. 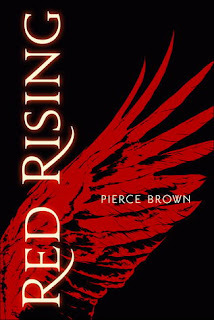 Review: I seriously considered DNF’ing Red Rising about 100 pages in because it just wasn’t clicking with me. I put the book down for two days, hoping that maybe a little break from it would give me a fresh perspective on it. That turned out to be a no-go, and in retrospect, I should have listed to my Jedi instincts and DNF’ed this one. I picked up Red Rising because—sci-fi/dystopia set on Mars! That sounded incredibly awesome, but unfortunately, so many things about this book fell short of my expectations. There’s been quite a bit of comparison between this and The Hunger Games, and Red Rising does center around a fight-to-the-death style competition. There’s even a Haymitch-like mentor figure. I do not, however, think this equal to The Hunger Games. My experience reading Red Rising actually reminded me of the issues I had with another mega-popular dystopian novel: Divergent. Shaky world-building, choppy prose, and a protagonist who didn’t exactly inspire enthusiasm were my stumbling blocks once again, but to a greater degree here. Beyond the fact that a different color represents each class within the book’s social system, with Gold at the top and Red at the bottom, I couldn’t get a grasp on this world. There are further subdivisions among the Golds and titles, titles, titles (which of course belong to the ruling Golds). I couldn’t tell you the order of the leadership hierarchy other than that Octavia au Lune and Nero au Augustus are big cheeses in it. I felt like I was swimming in information throughout the book but without the development to make the world cohere. Instead, new info just kept getting thrown out there. Slang usually doesn’t bother me, but here I found it distracting because it was used extensively. When it wasn’t “bloodydamn” this it was “gory” that, depending on whether it was a Red or a Gold who was speaking. I could not get a feel for the characters’ speech. At. All. Both the dialogue and the prose in general had an odd rhythm, which was a huge reason why it took me so long to finish this book. And now on to the main character: Darrow. We didn’t get off to an auspicious start; I found him on the arrogant side from the beginning, a little too confident in his abilities as a Helldiver (basically, a miner). I did try—repeatedly—to move past my initial impression of him, but he made it tough for me to see him as hero material. Darrow is recruited by a rebel group called the Sons of Ares to literally be made over, most painfully might I add, into a Gold so he can enter the super elite, Golds-only Institute, rise up through the ranks, and then topple Gold rule from the inside. It’s all very “Chosen One,” and it doesn’t take Darrow long to very much start strutting around in that role. His narration becomes a string of “I, I , I” and “me, me, me” and “my, my, my.” Darrow’s ruminations on how much his followers adore him are occasionally broken up by the requisite reflection on how his wife, Eo, died so he could join a rebellion and bring down the Society. Even Eo knew Darrow was the Chosen One! Look, I’m all for rooting for the underdog, but I think our goodman (another overused slang term) Darrow here develops too fond a taste for the life of a Gold and is potentially on a path to learn the price of hubris. Most of the other characters seemed flat to me, with the exception of Sevro and Pax, two of Darrow’s allies. Sevro’s brand of batshit crazy sort of amused me, and Pax had a “PAX SMASH” kind of thing going on that I found mildly entertaining. Otherwise, this book was one giant slog for me, and this series and I part ways here. All in All: Sadly, nothing about Red Rising worked for me. The writing wasn’t my cup of tea, and Darrow wasn’t my type of hero. This novel has received a ton of glowing reviews elsewhere, though, so clearly I’m in the minority here. Yours is one of the first negative reviews I have read. I personally didn't read Divergent because I somehow just sensed it would not work for me. 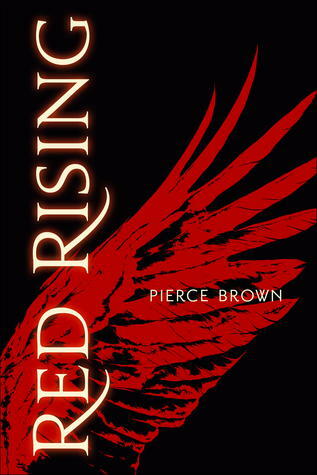 I do want to still try Red Rising tho. Maybe I will do it on audio as I have found sometimes that helps me enjoy books more that I wouldn't otherwise. Sorry it didn't work out for you!